On Sunday August 7, 2016 the NFL cancelled a game between the Indianapolis Colts and the Green Bay Packers live on national television, moments before the scheduled kick-off. The safety and playability of the field was called into question by the medical staff for both teams. There were over 26,000 fans in the stadium, and the pre-game activities were being broadcast live by Fox. By any standard, this was a big problem. The next day, the Pro Football Hall of Fame engaged Huntress Sports to investigate the condition of the existing synthetic turf, determine the cause of the problem and recommend a clear path to move forward. Over the course of the next 30 days Huntress Sports lead a scientific investigation to determine the cause of the issues identified by the medical staff . Once the deficiencies were identified we prepared a final report, including specifications for removal and disposal of the existing field, regrading and compaction of the stone base and installation of a new synthetic turf surface. 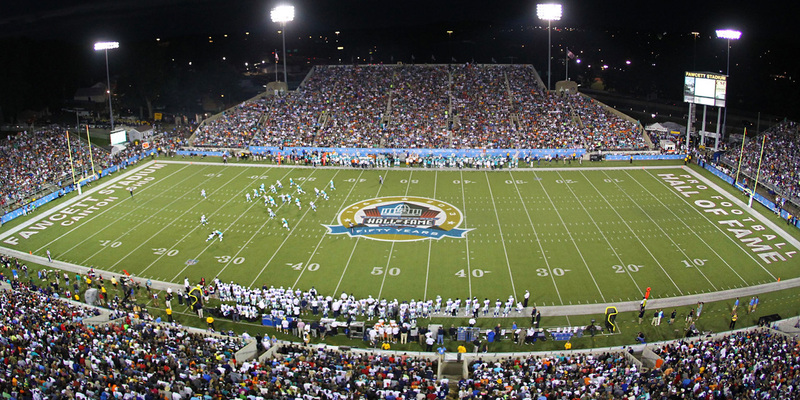 Most importantly, we outlined maintenance and grooming procedures, including game-day certification standards, to be used by the Pro Football Hall of Fame facility staff for any future events in the Stadium. 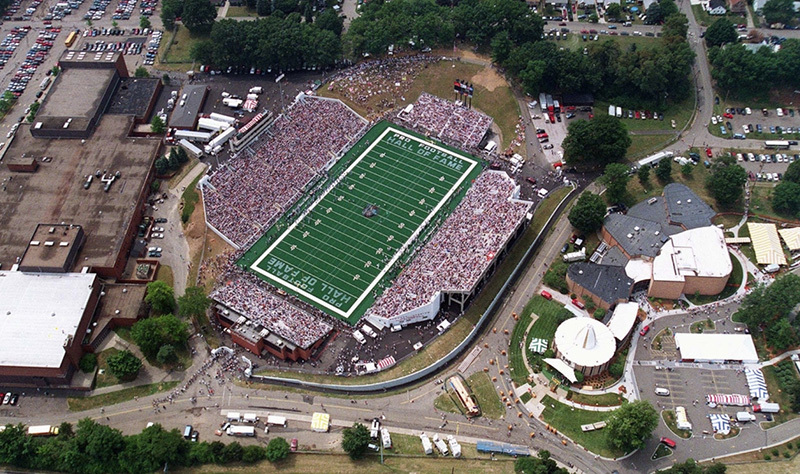 Huntress Sports coordinated the replacement of the synthetic turf surface in Fawcett Stadium scheduled in the Spring of 2017.